This support project has gathered a lot of artists from Belgium including these well-known as Mad Codiouf, Forward Fever or Crucial Alphonso but also talented, not yet so recognizable names. But the most important thing behind this music is helping, so please buy it if you like it, read more about 12-12 or just get involved in any form! 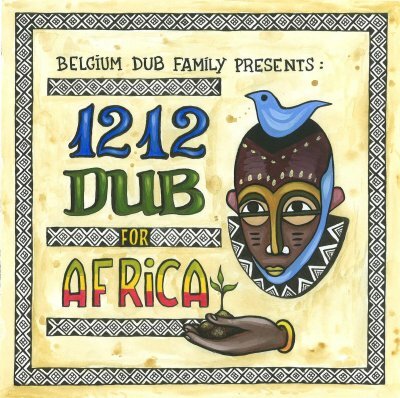 More than 20 Belgian dub artists joined forces to support 12-12 by creating an album! All profit will be donated to 12-12, a Belgian consortium of several organisations, aiming to battle the famine that threatens 20 million people in South Sudan, Yemen, Somalia and Nigeria. Help 12-12 prevent a humanitarian crisis by buying the album, making a direct transfer or starting up your own project! Give thanks to all producers & musicians involved and to Missing Link & Juli Jupter for the artwork! Support the album by sharing this link with your friends & family!